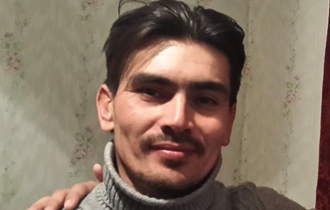 Please sign our petition below to demand the Turkmen Government immediately release Gaspar and allow him to continue his work in safety. I call on you to immediately release Mr. Gaspar Matalaev from detention and allow him to continue his work as an independent monitor on the use of forced labor in the annual cotton harvest in Turkmenistan. Mr. Matalaev was detained by Turkmenistan police on October 5, 2016 and reportedly subjected to torture by electric current to force a confession to charges of ‘fraud’. Though the charges against him are minor, the Turkmen authorities have refused to release Mr. Matalaev, despite allowing others charged with the same offense to go free. We call on you to release Mr. Matalaev as a matter of urgency and to work with civil society actors like him to end forced labor in your cotton industry.